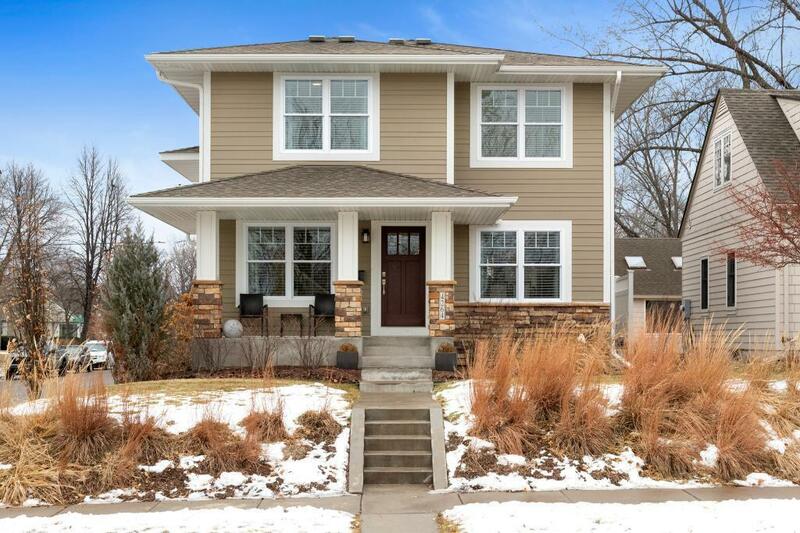 Rare opportunity to own a custom-built home with welcoming front porch near Sanborn Park & Victory Memorial Drive. Open concept main floor with family room & kitchen with stainless appliances & quartz countertops. Entertain your guests on 2 separate decks. Fantastic owner's suite includes soaker tub, double sink, shower, walk-in closet plus second floor laundry room. Custom landscaping w/in-ground sprinkler system. Unfinished basement including rough-in for future bath. Two car attached garage.